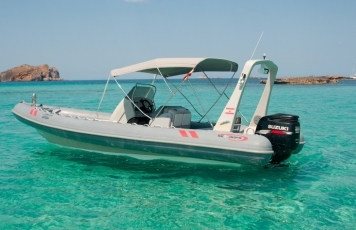 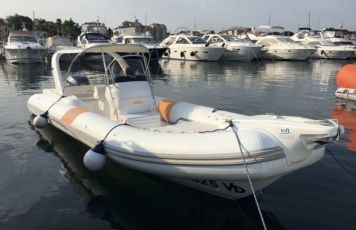 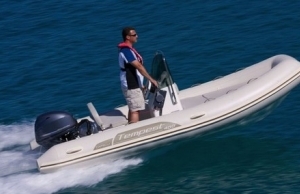 Inflatable boat of 8 meters with or without a skipper. 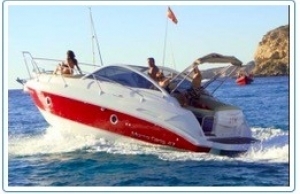 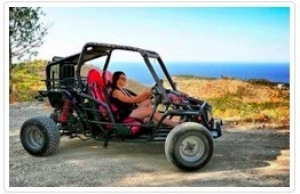 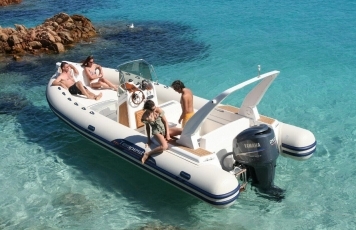 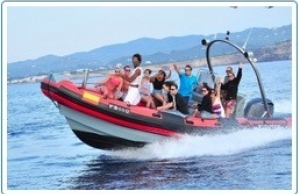 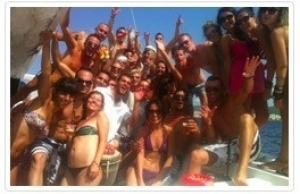 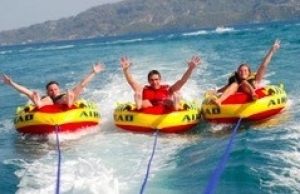 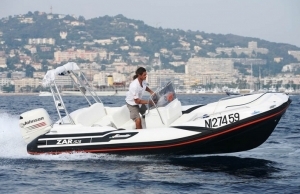 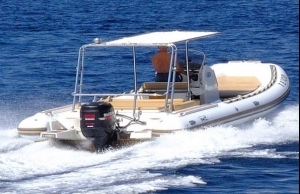 Suited for large groups of up to 12 pax, a sweet ride for a day out on the med! 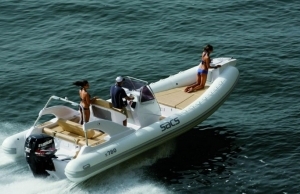 Minimalist and elegant, manageable and stable thanks to the careful study of hydrodynamic lines: Sacs S780 is refined pleasure.